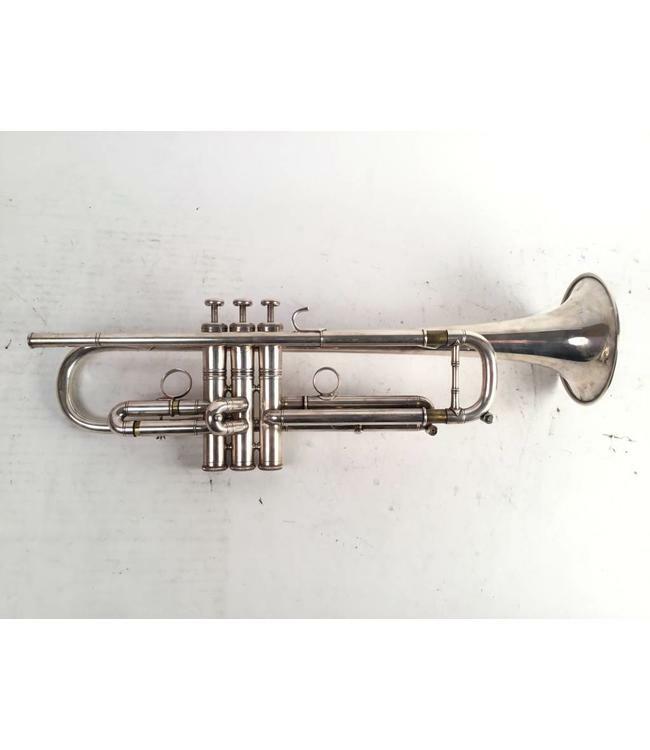 Used Kanstul 1503 (Kanstul's version of a Bach LT72) Bb trumpet in silver plate. Overall very good condition with surface scratching throughout. Includes original finger buttons and Picket purple inlay finger buttons. No case.